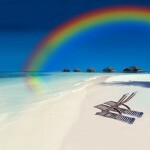 PrideOne Travel and Cruises uses our years of experience to clearly explain to you the differences in gay cruise lines. As a gay owned and operated full service travel agency, we feel that it is our responsibility to ensure that you are fully aware of all of your many options when going on a cruise. That is why we have created this article to make sure that you comprehend the services that you received at the different cruise levels. Please read on and discover the differences between an all gay charter cruise, large gay group on a mainstream cruise line, and a small gay cruise group organized by PrideOne Travel and Cruises. If when you travel, you want to stay in the gayborhoods, then an all gay charter cruise is the best choice for you. They will provide an all gay experience with entertainment specifically designed for the LGBT market. They might even bring in a big name star that’s sure to be a hit with the crowd. Plus, there are always gay oriented themes that will keep you entertained. All gay charters will customize their itinerary to ensure that they only visit spots that are gay friendly. Speaking of gay friendly, one of the advantages of being on an all gay charter is knowing that the person next to you is not likely a homophobe. The all gay charters are extremely popular and even those with reservations about going prior always end up having a great time. This option is quite different than the all gay charters. Instead of taking over a whole ship, your group will instead take over certain venues on a ship. This large group could be as big as 1000 people, however, however, you may not know of the exact size of the group until you are on-board. You’re still likely to find gay friendly faces on-board. As well, your service provider will likely arrange a Welcome Party to allow you to get to know the other members of the group. Upon meeting the rest of the large group, there are plenty of opportunities to socialize with the group dining experience. Plus, they may even provide optional group shore excursions too. Since you’re not on an exclusively gay charter, it does mean that there are more departure options too. We find that the large gay group option is likely for those that would rather not spend their vacation exclusively surrounded by thousands of other gay men. 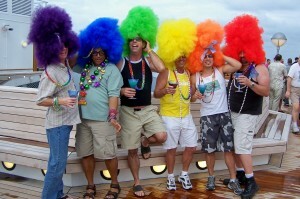 A third option that PrideOne Travel and Cruises personally offers is small gay group cruises. These cruises usually feature between 8-50 people and provide for a more intimate setting. 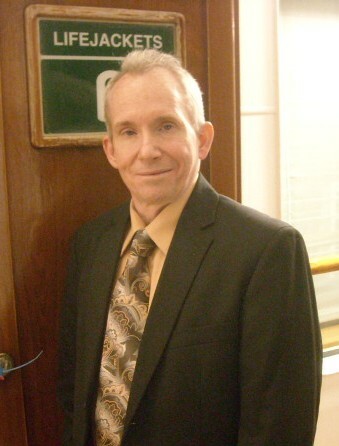 This gives you the opportunity to make close connections with new individuals. If the group has 8 staterooms, then it will even be escorted too. Another added bonus is the possibility of a pre-cruise hotel package. Here, the group has the opportunity to meet one another prior to the hubbub that exists with being on a busy ship. A small gay group cruise allows for a number of possibilities too. There are select nights for group dining, so that you can look forward to reconnecting with your small group. As well, a small gay group cruise may provide optional shore excursions and added special functions too. Prior to booking your next cruise, you must make one crucial decision at the very start. If you are looking for a ship filled with thousands of other gays, then definitely look into an all gay charter cruise (i.e. Atlantis, Olivia, and RSVP). If you prefer more exotic options on a large ship with a mixed population, then look into the larger gay group cruises on a mainstream ship (i.e. Pied Piper and Aquafest). Finally, for those with a preference for a more intimate experience, then we strongly suggest taking advantage of our small group gay cruises (i.e. Houston Group Cruise, Aloha Group Cruise or Bear Group Cruise). Please contact us today to book your next gay cruise based on your individual interests. When selecting us, you’re getting assistance from the start to the very end of your trip. If there’s a problem during the trip, you are able to contact us easily and we’ll look after your concerns. PrideOne Travel and Cruises takes away all of the stress to ensure that you have a vacation to remember.